When Nilesh told me he wanted to run for office last year, I wasn't surprised. We often sit up late nights talking about the health of our patients, worrying because so much is outside of our control. We tell our patients to live healthy lives, eat good food, exercise. But what good will that do when our patients live in food deserts and their streets are too unsafe to go for a walk? We cannot fix our neighborhoods in 20 minute clinic visits. Nilesh always says "charity is no substitute for a just public policy" and that to have people be uninsured, unemployed, and unsafe are choices that our elected officials have made. Nilesh has chosen something different—since completing his medical training, he has only ever cared for people living in poverty, on the edges of society. As a Baltimore native (who now works in the same hospital I was born in! ), I want lawmakers who fight for healthy neighborhoods. So, I told Nilesh that as his wife, he has my support. But more importantly, as a Baltimorean, he has my vote. I hope he has yours, too. 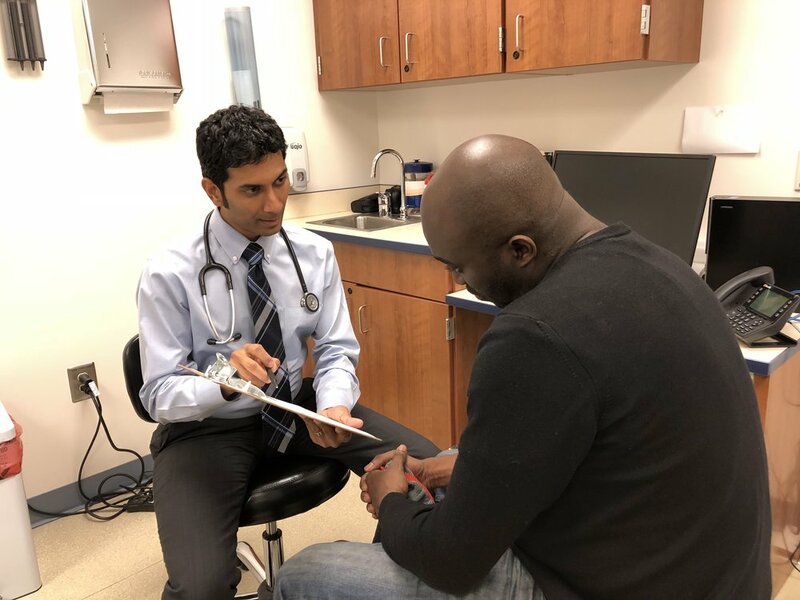 As a doctor, Nilesh has devoted his life’s work to improving community health for the homeless and working poor. Nilesh believes we need to help people in crisis by investing in our community. Like you, Nilesh wants our children to grow up in a Baltimore that’s inclusive, strong and healthy. As your Delegate, Nilesh will work tirelessly for the people of District 43. We can have safe, inclusive communities by addressing the violence epidemic as a public health issue and by aggressively getting guns off our streets. We need to strengthen the relationship between residents and police and end mass incarceration - prison isn't the solution to crime. Let's invest in youth programs, job training, education and health services to help families thrive. We need affordable, universal health care with on-demand access to mental health and addiction services. Let's implement innovative strategies to solve the opioid crisis and eliminate the 20-year gap in life expectancy between communities in Baltimore. Affordable, high-quality education is critical to help our children prosper and for adults to adapt to a changing economy. We need to invest in universal pre-K, strong public schools, expanded vocational training and community colleges. We must end homelessness by investing in affordable housing and providing supportive services to keep vulnerable residents housed. Let’s reform Rent Court, expand eviction prevention services to keep people in their homes and reinvest in our communities. We need environmental justice in Baltimore. Let's get rid of lead in all neighborhoods, increase our tree canopy, restore our streams and waterways, and support clean and renewable energy initiatives. We must increase access to fresh foods through urban gardens, community grocery stores and innovative corner store programs.